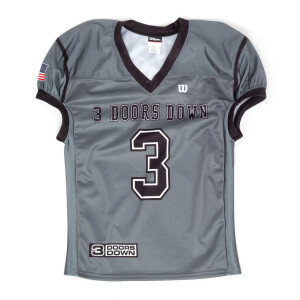 3 Doors Down #3 on front and back. 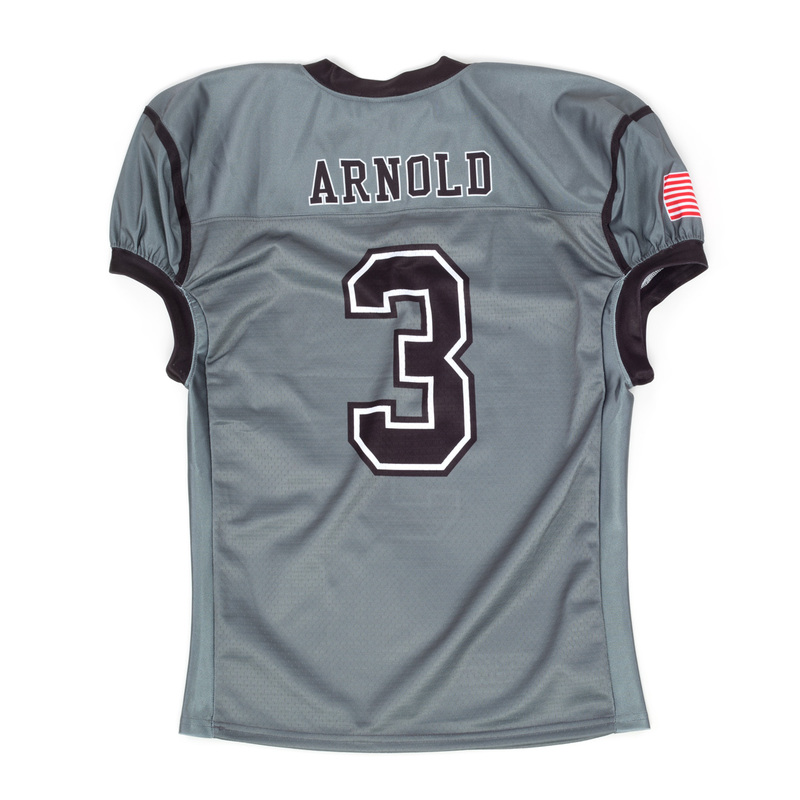 Arnold printed on the back for founding member Brad Arnold. American flag printed on right sleeve.